A new study from the University of Exeter, published in the journal Ecology Letters, found that phytoplankton — microscopic water-borne plants — can rapidly evolve tolerance to elevated water temperatures. Globally, phytoplankton absorb as much carbon dioxide as tropical rainforests and so understanding the way they respond to a warming climate is crucial. Phytoplankton subjected to warmed water initially failed to thrive but it took only 45 days, or 100 generations, for them to evolve tolerance to temperatures expected by the end of the century. With their newfound tolerance came an increase in the efficiency in which they were able to convert carbon dioxide into new biomass. 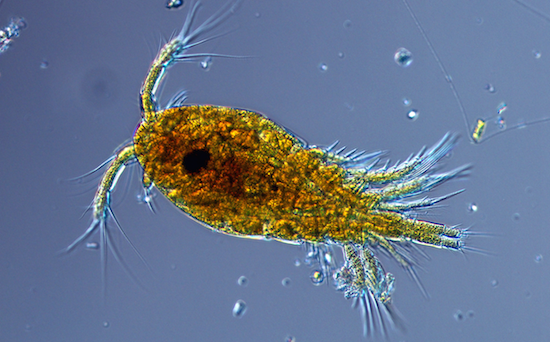 The results show that evolutionary responses in phytoplankton to warming can be rapid and might offset some of the predicted declines in the ability of aquatic ecosystems to absorb carbon dioxide as the planet warms. 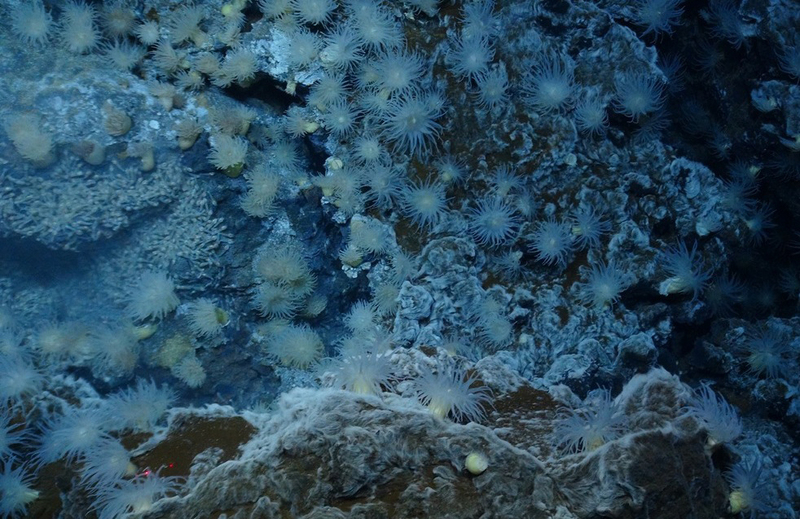 Scientists at NASA’s Jet Propulsion Laboratory in Pasadena, California, analyzed satellite and direct ocean temperature data from 2005 to 2013 and found the ocean abyss below 1.24 miles (1,995 meters) has not warmed measurably. Study coauthor Josh Willis of JPL said these findings do not throw suspicion on climate change itself. In the 21st century, greenhouse gases have continued to accumulate in the atmosphere, just as they did in the 20th century, but global average surface air temperatures have stopped rising in tandem with the gases. The temperature of the top half of the world’s ocean — above the 1.24-mile mark — is still climbing, but not fast enough to account for the stalled air temperatures. The study took advantage of the fact that water expands as it gets warmer. The sea level is rising because of this expansion and water added by glacier and ice sheet melt. To arrive at their conclusion, the JPL scientists did a straightforward subtraction calculation, using data for 2005 to 2013 from the Argo buoys, NASA’s Jason-1 and Jason-2 satellites, and the agency’s Gravity Recovery and Climate Experiment (GRACE) satellites. From the total amount of sea level rise, they subtracted the amount of rise from the expansion in the upper ocean, and the amount of rise that came from added meltwater. The remainder represented the amount of sea level rise caused by warming in the deep ocean. In its newest effort to combat climate change, the Obama administration today announced that it would dedicate nearly $70 million in funding toward bringing more solar power to homes and businesses, improving energy efficiency in rural areas. The $68 million in federal funds will go to 540 energy efficiency projects in rural areas across the country, 240 of which will be for solar power, the White House said in a press release. Along with the funding, the White House also announced a slew of executive actions, private and public sector commitments, and initiatives from different federal agencies, including one from the Department of Energy to train at least 50,000 veterans to become solar panel installers in the next six years. Another newly announced program seeks to get more clean energy in low-income communities, by clarifying that Department of Housing and Urban Development’s funding programs for economic development can be used for renewable energy and energy efficiency projects. 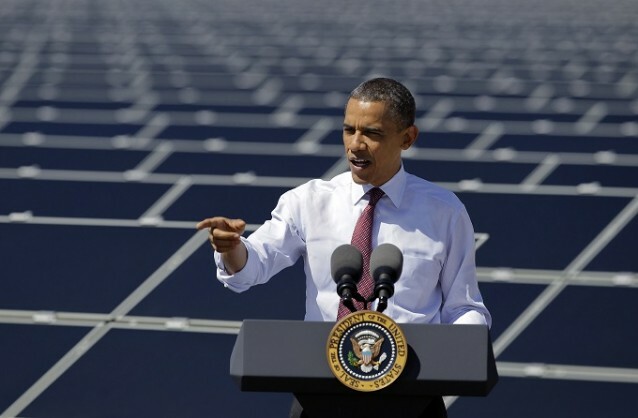 Cities in Oregon, Maryland, and Virginia have committed to installing more solar power by 2016, and one winery in California has promised to have 60 percent of its electricity usage come from renewable power by 2016, the White House said. Taken together, the White House estimates that all of the new programs will cut carbon pollution by more than 60 million metric tons every year, the equivalent of taking about 12 million cars off the road annually. By 2030, the programs would result in carbon pollution cuts of approximately 300 million metric tons, the equivalent of 63 million cars, the White House said. 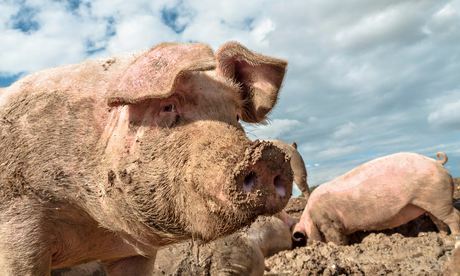 Agriculture is responsible for almost 10% of the UK’s greenhouse gas emissions and a quarter globally. It doesn’t have to be this way, as farmers Paul and Celia Sousek demonstrate. 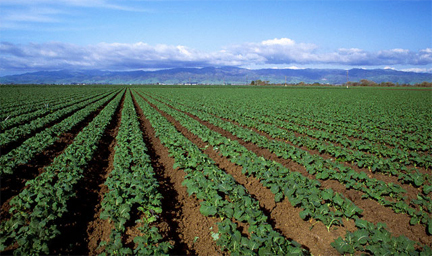 Their commitment to organic farming without the use of fossil fuels demonstrates that far from contributing to climate change, agriculture can be part of the solution. I headed to Cottage Farm near Jacobstow, North Cornwall to see how on-farm renewables are enabling the Sousek family to fulfil their role as stewards of the environment as they cultivate a successful, family-run farm business. It’s hard to believe that Paul and Celia Sousek, Farmer of the Year finalists in the BBC Food and Farming awards 2011, had absolutely no farming experience when they upped sticks and moved 300 miles West to Cottage Farm back in 2005. Unfazed, they embarked on their new livelihoods with a weekend course in Cows for Beginners and now oversee 50 hectares of land which is home to cows, sheep, hens and some very vocal geese. So why did the couple leave behind successful careers and the life they had built in Kent to take to the Cornish fields? Climate change has already left its mark “on all continents and across the oceans”, damaging food crops, spreading disease, and melting glaciers, according to the leaked text of a blockbuster UN climate science report due out on Monday. 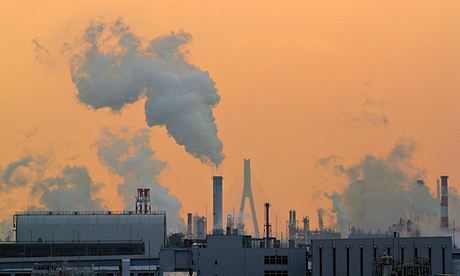 Government officials and scientists are gathered in Yokohama this week to wrangle over every line of a summary of the report before the final wording is released on Monday – the first update in seven years. Nearly 500 people must sign off on the exact wording of the summary, including the 66 expert authors, 271 officials from 115 countries, and 57 observers. But governments have already signed off on the critical finding that climate change is already having an effect, and that even a small amount of warming in the future could lead to “abrupt and irreversible changes”, according to documents seen by the Guardian.